After many, many months of development, The Box Store for SpeechBox has arrived in version 1.2 which is now available for download in the App Store. 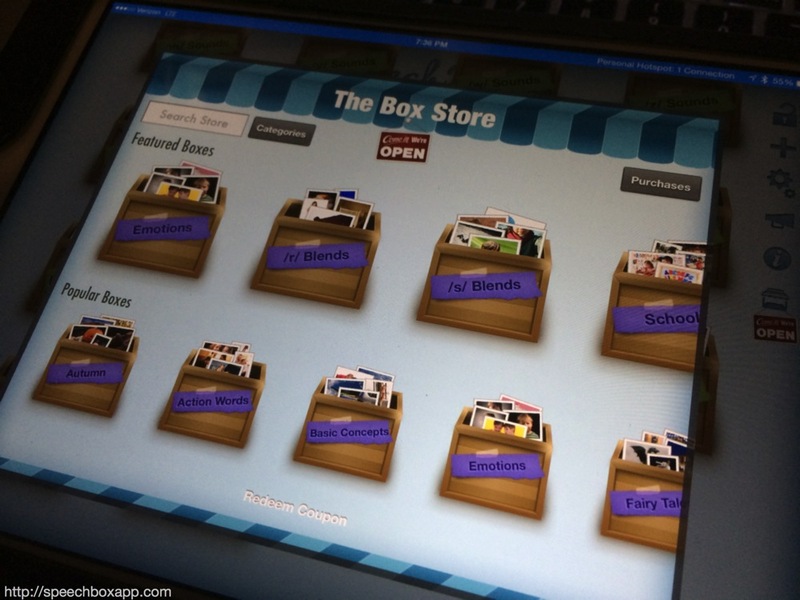 The Box Store features over 20 Boxes (and more will be added each week!) you can download and work with. 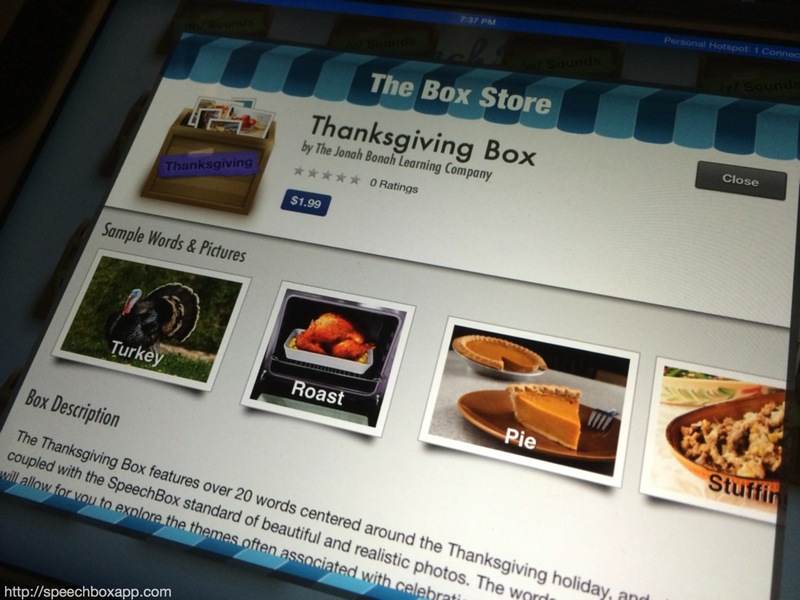 You’ll find Boxes focusing on Vocabulary, Blends, and even Seasonal themes. 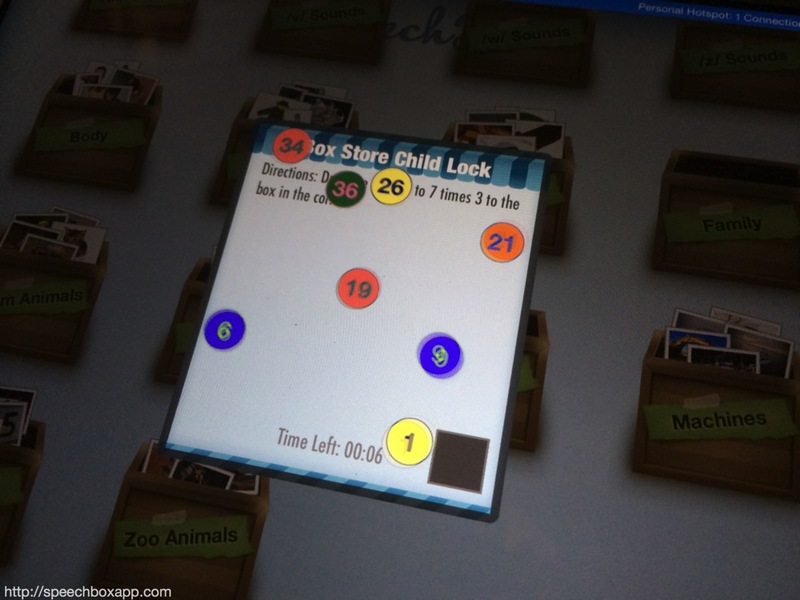 With over 20 Boxes totaling more than 700 words to work with, the Box Store will make speech therapy way more fun! Tap on this icon on the main menu to enter the store. Once inside, each Box detail page includes sample Photos, Words, and a description of the Box. This is a picture of the Thanksgiving Box. How do we deter Children from entering the store? 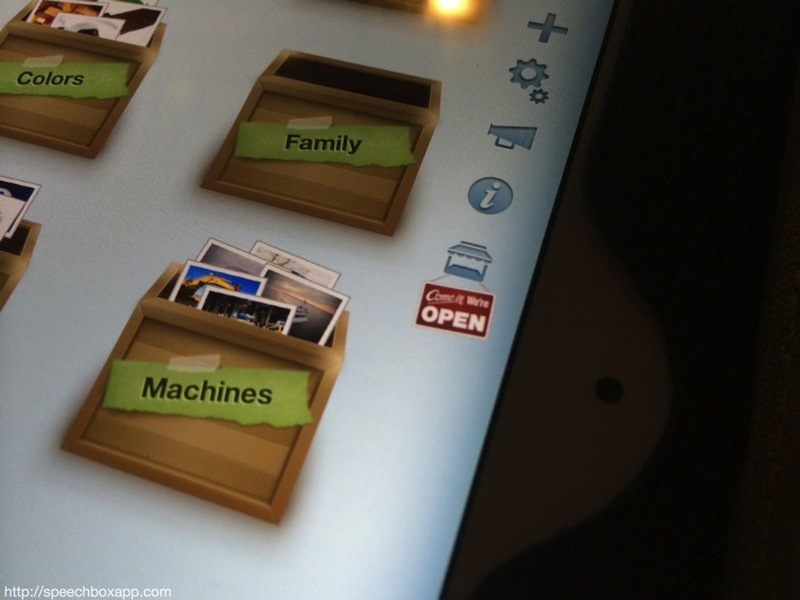 Some of you may have heard that children can sometimes open up apps that contain in-app-purchase stores and empty your wallet. Well, we want to help put an end to that. For the Box Store, we’ve put a lot of additional development effort to create a deterrent for young ones. With the Box Store, we’re are proud to introduce our unique, patent pending Child lock, which we’ll show you a picture of below. While the balls float around the screen, all you have to do is drag the ball with the answer to the question to the gray box that appears randomly on the screen. Pretty cool, right? We thought so. 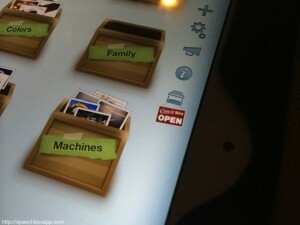 You can download SpeechBox for iPad here. 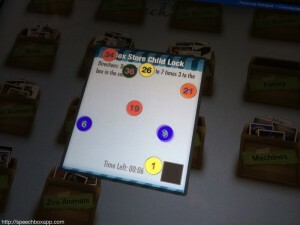 If you are a school or user that is unable to use in-app purchase, you may visit our Box Store on the web at: http://store.speechboxapp.com. Note, the Box Store is only available on the iPad Edition at the moment. We’re currently working on a mini-version for the iPhone Edition. Oh, and don’t forget to enter the Giveaway to win Three boxes of your choice!